Hopkins Distribution Company offers comprehensive 3PL and warehousing services to the West Coast. Hopkins boasts an experienced workforce, online inventory management, value-added services and customized supply chain solutions. Our multi-client public warehouse locations offer flexible space that allows companies to expand and contract their inventory based on demand rather than paying for unused space. Hopkins Distribution provides contract-warehousing operations for companies seeking long-term supply chain solutions at our dedicated facilities. A West Coast 3PL company can prove to be invaluable in terms of reducing your overall business costs. 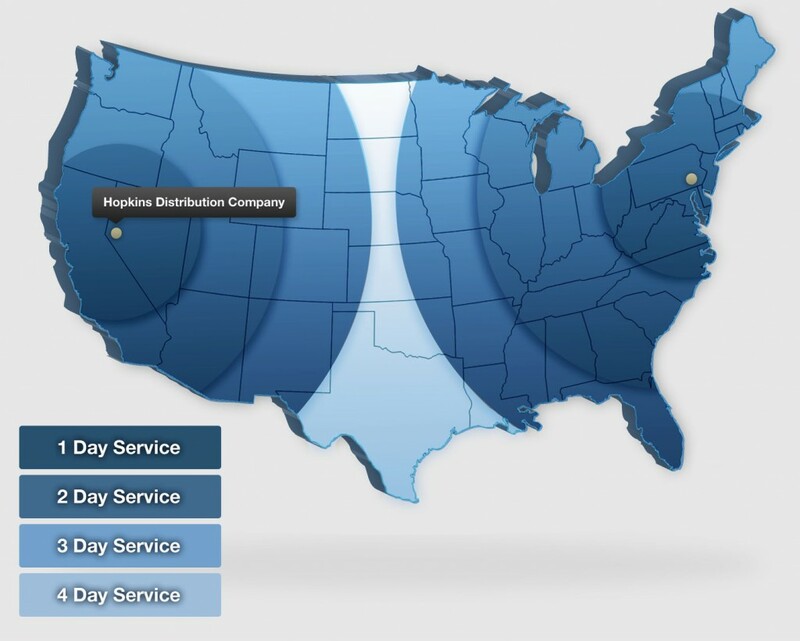 Choosing Hopkins as your West Coast 3PL is an ideal solution for both a multi-point distribution network and a National distribution location. Hopkins is located in Nevada, a hub to some of the largest metropolitan areas in the U.S. and a state that has proven to be highly effective for 3PL and distribution coverage. If you are looking for a West Coast 3PL company you should consider the advantages Hopkins Distribution has to offer. Contact Hopkins today to discuss your specific West Coast distribution needs!